Readers sound off on the Oakland Zoo expansion and the revolving door of government and Big Business. The missing piece in both this article and the info put out by the California Native Plant Society is a map showing the whole park and the part where the proposed development is planned to be! How can we judge just how big an impact they're talking about? Also, the park is hardly pristine, as the city brings goats up there to eat down vegetation. Their droppings are full of French broom seeds and who knows what else. I also have a disclaimer: I was education director of the Oakland Zoo from 1987 to 2000, when I quit over a personnel matter. So, perhaps I am tainted! What a great article! Kudos to the reporter and the Express for having the guts to tell it like it is. Destroying native habitat and native organisms, from animals to plants to fungi, and restricting free public access to a park that was created for Oakland city residents in perpetuity is not conservation, but commercialism. The Zoological Society may be a nonprofit in name, but it is behaving like any other unscrupulous business: increase the profit and damn the consequences! I agree that the Oakland Zoo has vastly improved since Joel Parrott became zoo director, in terms of animal care and quality of animal enclosures for its existing animals. But even the very best captive care just makes them benign jailors. Do we portray "nature" as soul-deadened, neurotic, and angry creatures with no hope of release, or do we honor their lives by allowing them to live free? We know what the zoo proposes, and it is not conservation but acquisition. I just returned from three weeks in Alaska, where I got to see the dramatic contrast between truly wild animals and those in a very well maintained conservation facility outside of Anchorage. Those semi-tame creatures, from brown bears to musk ox, were wholly thwarted in their lives, although they were being taken care of most kindly and living in extensive enclosures. These once great and proud beings were a shadow of their wild brethren, bodies whole but spirits broken. How would you like to live in unending public scrutiny, with no opportunity to get away from that maddening — to the point of true insanity — human crowd? 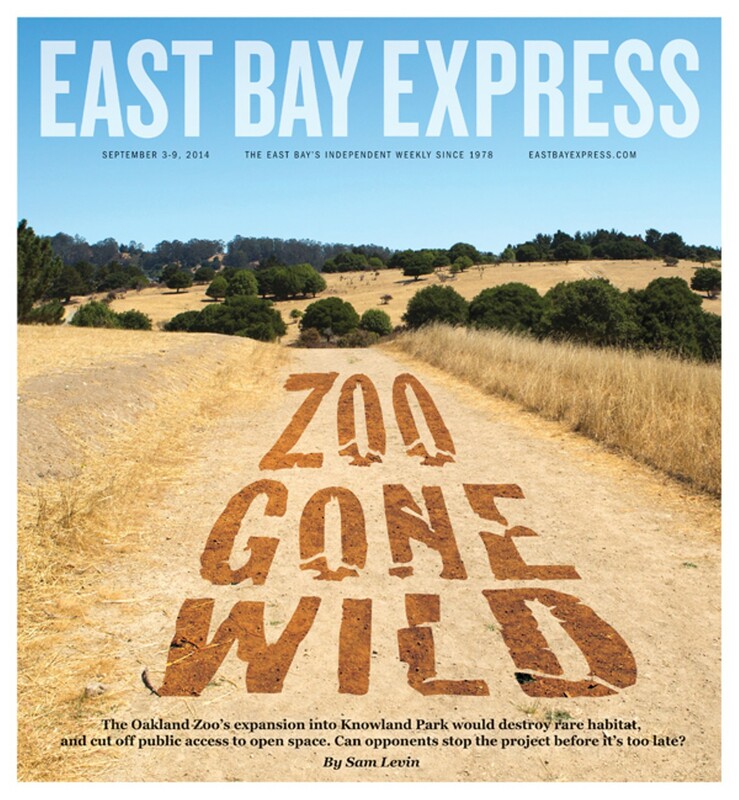 Leave our wild Knowland Park for those who already live there, and retain free public access to this truly wild and soulful place, for all of us Bay Areans who choose to walk it, not just for those with money for zoo admission. Boots on the ground is the way to know a place, not sailing above it on a gondola ride. Let our consciences and not our pocketbooks be our guide in protecting this irreplaceable space. Shame on the zoo and the city council for their actions up until now on this matter. We beseech you, Oakland Zoo and City Council, to do the right thing and preserve these valuable lands. Build closer to the zoo and improve what you already have. Make do, like so many of us already are in these trying financial times. Destroying existing nature to build a commercial vision of "nature past" is a most chillingly Orwellian vision. This is the conservation-conscious Bay Area, for heavens sake. We can do better. The plants, animals, and people already living in and traveling freely throughout Knowland Park, as well as their many generations of descendants, will thank you. 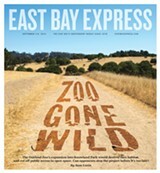 Thanks for the great article regarding the proposed expansion of the Oakland Zoo. Although I'm a huge proponent of open parkland in Oakland, I see the expansion of the Oakland Zoo, onto a very small portion of Knowland Park, as a great thing for Oakland as a whole, and for Oakland's economy. The Oakland Zoo is now one of the best zoos in the United States and this proposed expansion will place it in the same league as the internationally known and highly regarded San Diego Zoo. I see the opposition to the expansion as a fight from a certain group of people who would rather save this park all for themselves instead of viewing this as an opportunity for Oakland as a city. The same people walking on these trails are the ones speaking of its pristine and undisturbed condition. Well, if the land were truly wild, they wouldn't be walking on it. The expansion of the zoo gives people who otherwise would never find the trailheads of Knowland Park an opportunity to experience the beautiful landscape and the incredible views. I have never once been to Knowland Park other than as part of visiting Oakland Zoo. I have never set foot outside of Oakland Zoo property. From the current chairlift ride I've enjoyed the views of the bay and much of Knowland Park, but have never found a trailhead for the park. The Oakland Zoo brings people to the area who otherwise would never come to enjoy Knowland Park. The zoo is the attraction. The people of Oakland, living well below the view ridge, deserve a vibrant and prosperous city with attractions that bring people to Oakland to spend money, which in turn contributes to the tax base and to the general fund. The Oakland Zoo sits on a beautiful setting unmatched by any zoo in the United States. The Bay Area, the nation, and the world need to know how beautiful Oakland really is. This shouldn't be open space reserved for a few neighbors or Berkeley professors who spend very little time in Oakland proper. These few acres in this massive park should be used for the betterment of Oakland as a city and not for the sole privilege of immediate neighbors, or for those with a certain preservationist ideology who might not even live in Oakland.